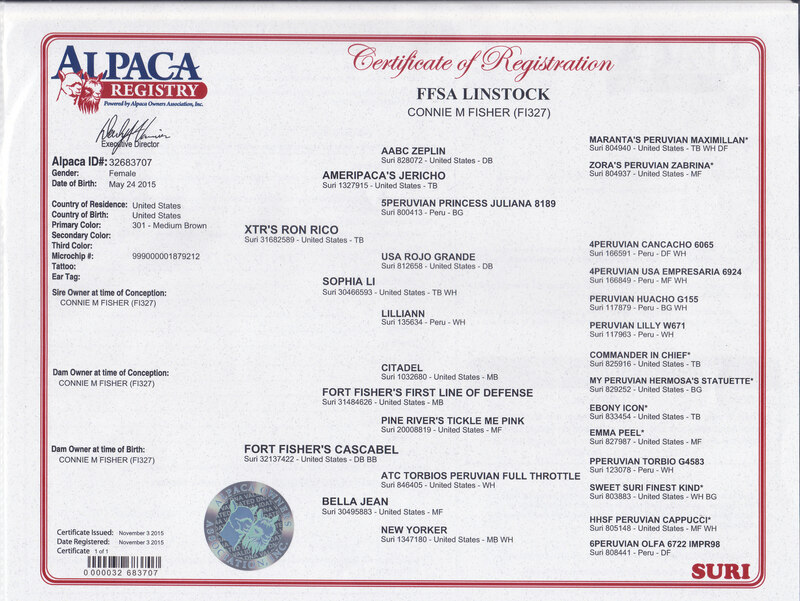 After searching for several weeks for a suitable true black herd sire for our alpaca girls, XTR Ron Rico joined our ranks as Fort Fisher's newest herd sire! His genetics, luster, easy-going personality, and consistent fiber qualities were a great addition to the farm. Winner of Judges Choice in 2014 AOA World Spin off!! 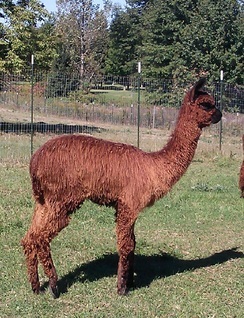 Come visit Ron Rico at the FORT, enjoy his pleasant personality, and see why he joined our herd sires! Bella and First Line of Defense have produced a stunning dark brown/bay black girl with impeccable conformation--straight legs and typey head. Cascabel was named after the handle of the muzzle loading cannon in the Civil War; this handle was used to manuever the gun to aim at its target. With Cascabel's luster, fineness, and consistent locks, hitting the "bulls eye" is inevitable in anyone's breeding program. Come visit Cascabel at the FORT to see if she will hit the target for you! In the Revolutionary War, a linstock was used to hold the match that would fire the cannon. 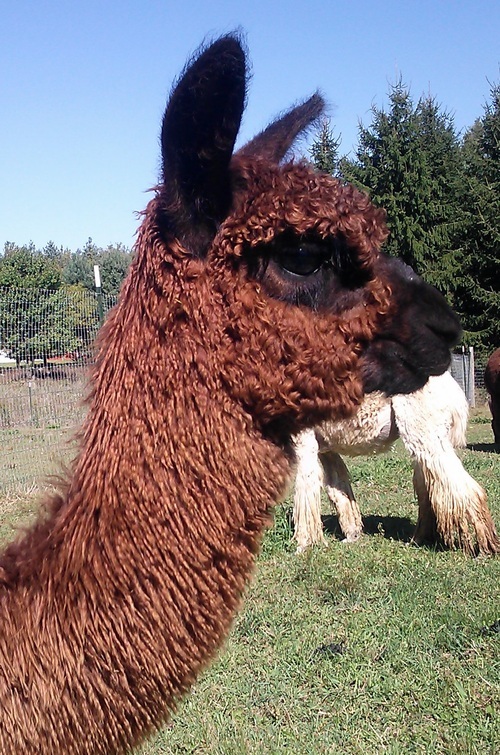 This beautiful, lustrous, medium brown alpaca is aptly named Linstock because she will be the one to fire the cannon at the FORT when she is bred! Perfect conformation, typey Suri head, and black features on her face plus all her great fleece qualities = a winning combination! Histogram and 3 yr. fleece wt. (8.2#) is above the 2018 National average! Come visit “Lins” at the FORT and see her for yourself! We offer flexible, interest free financing to meet your needs.